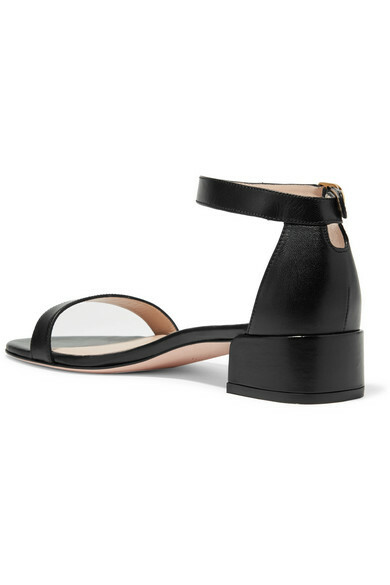 Even the slightest heel makes a change to your posture and the way you walk - Stuart Weitzman's 'NudistJune' sandals sit on a low block heel so they're comfy and stable, too. 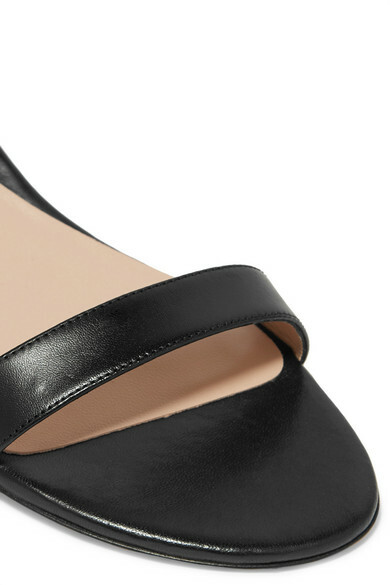 The design is kept simple with smooth leather straps and a gold buckle at the ankle. Shown here with: Miu Miu Dress, Chloé Shoulder bag, Dinosaur Designs Earrings.